What would be a dream come true for a breastfeeding, hip hop aficionado? A rap song about breastfeeding no doubt! 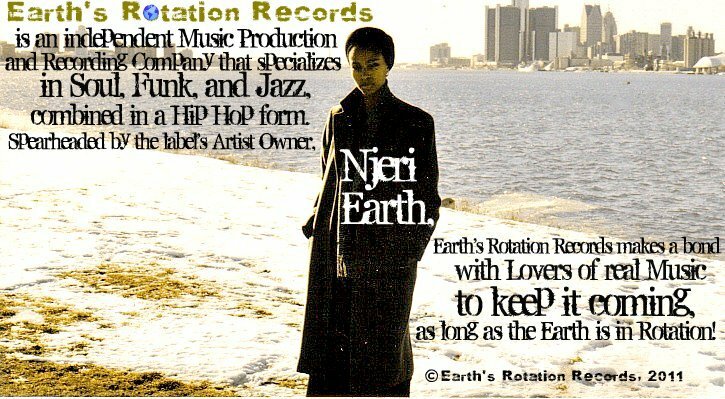 I just finished listening to this lyrically amazing song Food for Thought by Njeri Earth. Njeri Amira-Nana Earth is a mother of four, wife, daughter, sister, Hip Hop artist and musician, child care provider, business owner, youth mentor, and holds a B.A. in Organizational Management with a minor in Child Development; among other things. Fans might recognize her from her earlier years in hip hop with her collaborations with the Wu-Tang clan’s GZA/Genius album “Beneath the Surface on songs “1112” and “Victim” and the again as the “3rd Parking Lot Rapper” in Eminem’s ” movie 8 Miles.” Releasing her first album “Supa Sista” in 2005 and then the follow up albums “20-20” in 2007 and “The Best Part” in 2008. She back now with the upcoming release “The Highest Elevation” with features this breastfeeding gift of love, Food for Thought. Although this sista has been out for some time, the song Food for Thought is spreading through the breastfeeding advocacy community like some good gossip. With breastfeeding, Black women becoming increasingly more visible in mainstream this song is right on time. Check out the Food for Thought lyrics below and Njeri Earth Facebook page here. Lyrics By: Njeri Earth, from the song “Food For Thought,” – (Inspired by the Breastfeeding Mothers Unite organization) on the album “The Highest Elevation”; coming soon. PEACE! i want it's better at home!